One single thread weaves the story of the past and present lives of two people. Two people born on the opposite sides of the world, destined to meet, and realize karmic conditions and their consequences. On the surface, it is a typical boy-meets-girl theme, but only on the surface. 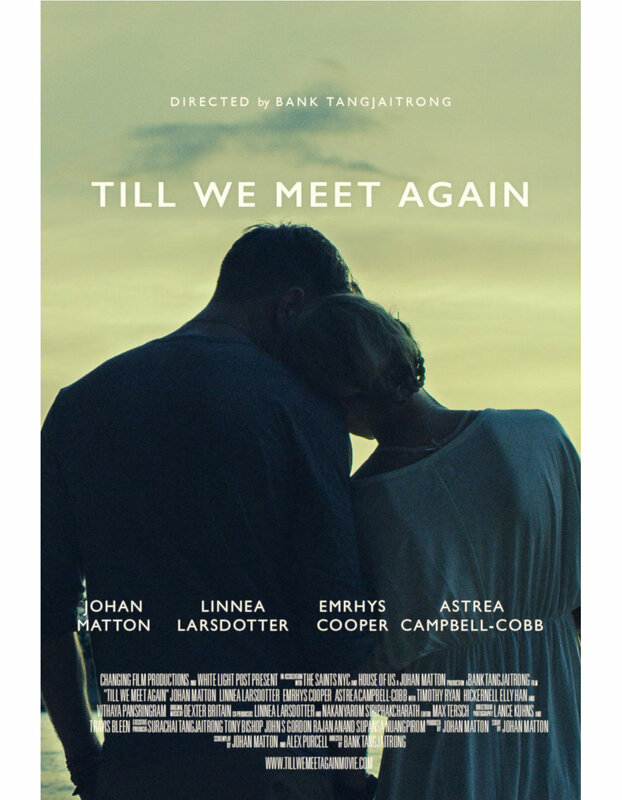 Directed by Thai filmmaker Bank Tangjaitrong and starring Johan Matton, Linnea Larsdotter, Emrhys Cooper, an Vithaya Pansringarm. Tangjaitrong’s feature film debut, it was written and produced by Johan Matton, who also has a lead role. It gained recognition from the festival run winning the Audience and Jury prize at Long Beach International Film Festival. Erik is a young writer unhealthily dependent on his girlfriend Joanna. The couple travel to Thailand with their relationship on the brink to try and fix what’s left of it only to find themselves bitter and split up. Erik wanders through Thailand by himself as he battles with his loneliness and his incapacity to take care of himself. Meanwhile, Joanna runs into and reconnects with her childhood friend, David. A chance encounter with three free-spirited backpackers opens up the world to Erik and changes his life forever.